Dr Keith has limited hours on Monday, Tuesday, Wednesday & Friday for small animals at the clinic location. Please call for availability. 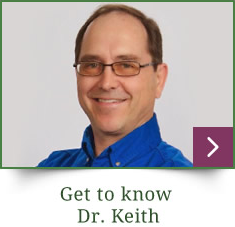 Dr. Keith is available Tuesday afternoons, Thursdays & Saturday to adjust dogs, cats and horses. Years ago, Dr. Billstein’s family Flat-Coated Retriever suffered kidney failure. After taking her to the vet, the vet said she wasn’t going to make it another day. The next day, with her barely opening her eyes, Dr. Billstein felt the need to help her, hoping to boost the communication between her nervous system and kidneys. He found a way to adjust her and they noticed within a few hours she was more lively and within one day she was back to being herself. “Just like that!” When the time was right, his family said goodbye to their beloved pet that was living with cancer. To this day, he’s very thankful that his wife, Mary, got the chance to enjoy the love of Kyrie for a few more months because of chiropractic care. With a newfound interest in animal chiropractic and support from family and friends, Dr. Billstein went back to school to become an American Veterinary Chiropractic Association (AVCA) certified animal chiropractor. 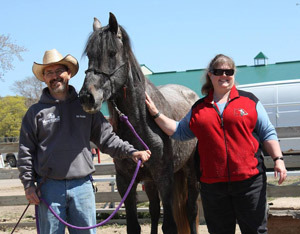 He received his animal chiropractic certification from Parker University in Dallas, Texas and then went on to receive his national certification from the AVCA. 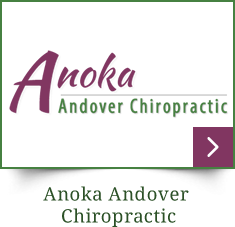 He is one of a few nationally certified animal chiropractors and one of 10 animal chiropractors in Minnesota who has received this particular training and certification. 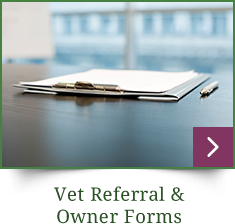 Once you have a veterinary referral, and you’ve filled out the proper paperwork, Dr. Billstein will gladly visit your barn or home, or will arrange a time to adjust them elsewhere. He’ll do a chiropractic examination that is videotaped, and then Dr. Billstein will adjust them. For horses, the first visit usually takes around one hour and for dogs and cats you can expect around a half hour long appointment. The best part of chiropractic care for your pet is that animals respond very quickly to care compared to humans, often noting an obvious difference soon after adjustments. Most animals will end up resting and recovering for the first day, waking up feeling better the next day. How do you adjust a horse? Give Dr. Billstein a call and learn more about how chiropractic care can help your beloved pet. Just as with human chiropractic care, we strive to help align your animal’s spine so that their nervous system and entire body can function better. If something isn’t right with your beloved animal, we can help.